Intel teased its Skull Canyon NUC at CES back in January and now, they're ready to share it with the world. The Intel Skull Canyon NUC measures just 8.5" x 4.6" x 0.9" with a volume of 0.69 liters – or in other words, it's pretty small. Under the hood is a sixth-generation Intel Core i7-6770HQ processor (45W TDP) with integrated Iris Pro Graphics 580. There's also room for up to 32GB of DDR4 and two M.2 slots for your flash storage needs. The barebones kit also includes dual-band Intel 802.11ac Wi-Fi, Bluetooth 4.2, Gigabit Ethernet and a bevy of miscellaneous I/O ports (Thunderbolt 3 / USB 3.1 Gen 2 Type-C, four USB 3.0 ports, an SDXC slot, an HDMI 2.0 port, a miniDisplayPort 1.2 port and even infrared capabilities should you want to use it alongside your home theater system). The Skull Canyon NUC is pretty potent on its own but we all know those integrated graphics will only take gamers so far. But with AMD's recently announced XConnect technology, it's a breeze to add external graphics to a Windows 10 machine with a Thunderbolt 3 connection via something like the new Razer Core external GPU enclosure. 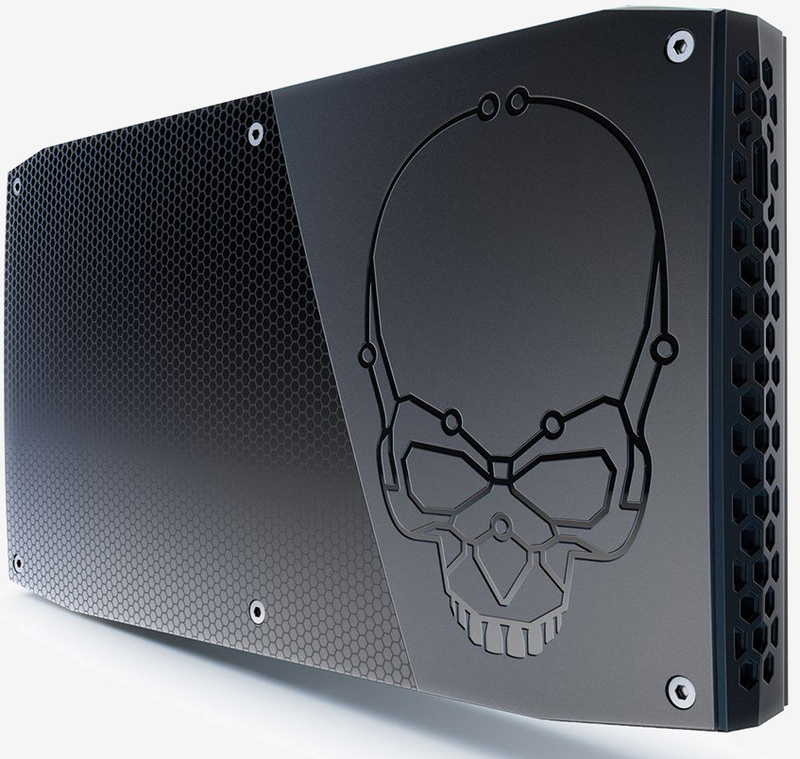 Pricing is set at $650 for the barebones Skull Canyon NUC although a typical build with 16GB of DDR4, a 256GB SSD and Windows 10 will push the cost to just under a grand. Pre-orders are set to begin next month with units shipping in May.